New for December 2011! This page was helped out immensely by Fab Girl, thanks! I said lift-off, not liftoff, you idiot! Photolithography is what allows the world to make incredibly complex circuits accurately and cheaply. Study this simple page and you will look like a genius compared to most RF designers! People who work in the field of photolithography endure long hours in clean rooms with no access to a bathroom, and are exposed to all manner of chemicals that are "known to the State of California to cause cancer". It's gotta be slightly depressing working in a yellow room that smells like the state of New Jersey, so be nice to the people that give birth to your circuit ideas! Photolithography consists of four steps, the order depends on whether you are etching or lifting off the unwanted material. There are two principal means of removing material, etching and lift-off. We need to defined these first, then the rest of the discussion will make more sense. In an etch process, material is already deposited on the substrate and the mask forms a protective layer to the etchant. This is typical of printed circuit board processes. It can also be used in MMIC processing, especially for thick metal (although, you must be careful here – etchants have a way of getting crazy and can undercut your pattern – making a blob out of a simple square). It is possible that an etch-factor must be added to artwork to account for the non-ideal behavior of the etchant, in which case the featured are "bloated" to allow for over-etching. Etches can be isotropic (they are non-directional, they will go wherever they can find the material they like to etch) or anisotropic (directional, they will only go where the mask allows). Etches can be dry (reactive ion etching or RIE) or wet (chemical). Etches can also be very selective (only etching what you intend it will etch) or non-selective (attacking the mask and/or substrate). The etched-off material can be thick; however, thicker materials benefit from having a hard mask as the etch mask. Photoresist is not particularly compatible with harsh chemicals or with reactive ion etching. Short durations in a dry etch environment may be OK (depending on the photoresist used – which we will get into later), but photoresist is not recommended for long etches. The same is true for many chemical etches. Unless the chemical is very selective, there is a good chance the photoresist will be attacked by the chemical etchant. If the attack is much slower than the targeted material, it may be OK for your application, but not necessarily recommended either. So, what do you do? You pattern a hard mask. A hard mask is typically a nitride, oxide, or metal. You deposit the “hard” material over the material that needs to be etched into a pattern. THEN you deposit the photoresist, pattern it, and etch the hard mask. The hard mask should be thin enough to etch quickly – 1000 Angstroms is typically more than enough (basically enough to ensure no pin holes in the film). After the hard mask is etched, the photoresist can be stripped (we will talk about that later too) and then the material can be etched using a method that will not attack the hard mask. In a lift-off process, the photo-resist forms a mold, into which the desired material is deposited. The desired features are completed when photoresist under unwanted areas is dissolved, and unwanted material is "lifted off". Note that the correct spelling is lift-off, not liftoff, which means an entirely different thing in the English language. 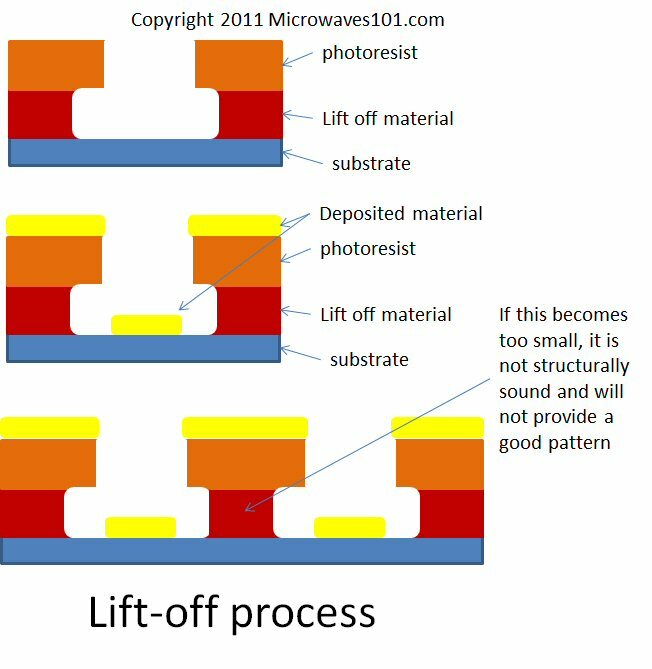 The deposition of the lift-off photoresist is not exactly the same as a regular photoresist. The lift-off photoresist is often a "two-parter". The first material deposited is not always photo-patternable, but is removed by the same developer as the photoresist, at a faster rate than the photoresist. This allows a “ledge” to form in the pattern. The ledge is there so that the deposited material is not a continuous film. If it is a continuous film, removing the photoresist will most likely ruin the pattern of the deposited material. 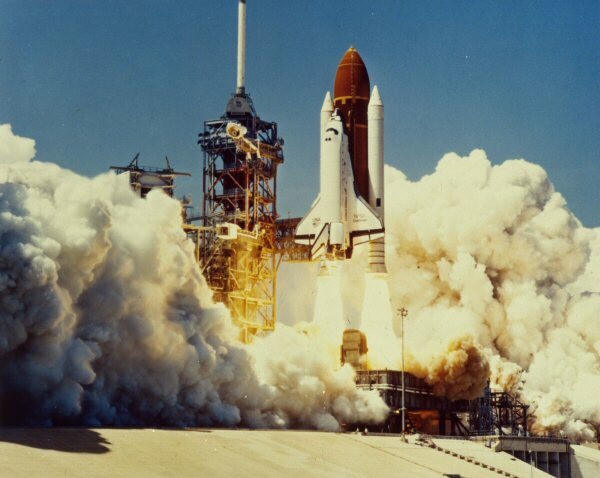 Lift-off processes provide their own challenges. The first is that the deposited material cannot be deposited in a high temperature environment (such as a furnace) and sputtering is not ideal either as the nature of sputtering is its spectacular ability to be conformal. Lift-off is a good candidate for patterning evaporated metals. Lift-off also has limitations with small patterns. Since the lift-off material is undercut, small areas do not always survive the entire process. Donuts are not allowed (no enclosed structures). The lift-off material must be a singular piece, the centers of donuts might remain on the substrate. Lettering on liftoff layers requires special fonts where letters q, o, p, a, d, g, b, Q, O, P, A, D, B and numbers 0, 4, 6, 8 and 9 have slashes cut through the enclosed parts. It is not that we care if the center of the letter O is plated over, what we care about is if that center gets loose and attaches itself somewhere to the neighboring circuitry and causes a short circuit. If you don't know what a short circuit is, stop reading here, crack open another energy drink and get back to your video game, Neinstein! 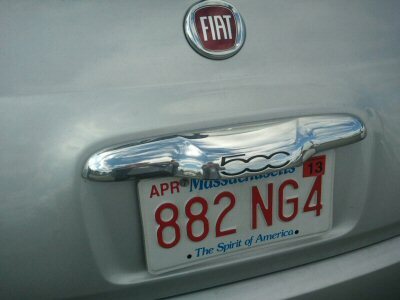 In the image below of the backside of a rental car, the "Fiat" letters are not suitable, neither is the license plate, but the "500" is perfect for lift-off. Capiche? In a liftoff process the material to be removed is usually thin, it must be thinner than the photo-resist mold or the undesired material will remain stuck to the desired material. Material deposition can be done by evaporation, chemical vapor deposition (CVD), atomic layer deposition (ALD) .... The various means of deposition need their own Microwaves101 page! A wide variety of materials are deposited in building a MMIC, including ohmic metal, plated metal, gate metal, resistor metal, various dielectrics and passivations. Photoresist can be liquid, which is typically spun on. Photoresist can also be a "dry film" which, traditionally, is deposited by the supplier onto the board for convenience of the electronics hobbyist. It is becoming more of an option for thicker, negative photoresists as well. The dry film advantage in thicker photoresists is the speed of processing and uniformity of thickness across the substrate. After we discuss the spin coating process, we will look at dry films again. Spin coating is the most common method of applying photoresist. It would seem that thickness is controlled by the RPM of the machine, the time it is left on, and the chemistry of the photo resist, but it can be much more complicated! Spin coaters come in several varieties – open bowl, closed bowl, and even spinners with gyrating covers. Open bowl spinners are just that – they have an open bowl (and greater risk of injury – flying objects are not well contained). Open bowl spinners are typically exhausted and have a drain for the excess photoresist. There is a great amount of turbulence around the substrate during the spin coating process. Closed bowl spinners have lids that close during spinning, and do not have a drain or exhaust (but are usually placed in a ventilated enclosure, like a hood). Karl Suss has a spinner with a Gyrset® lid – it is a bit of a hybrid between the open and closed bowl spinners. The bowl is exhausted and has a drain, but the lid does not close completely – it spins with the bowl, decreasing the turbulence that the wafer experiences – thereby providing a more uniform coating, which is especially difficult when the substrate is not a circle. There are also other hybrids available – drained with a closed bowl, exhausted with a lid, etc. Each of these have their own advantages and disadvantages – which we will spare you for today, but know the exhaust will play a role in the resulting film thickness and uniformity. Ok, so, we chose the spinner, we looked up the handy spin curve for the photoresist we would like to use (provided by the manufacturer), and we deposited the photoresist on the substrate and hit “go” on the spinner. 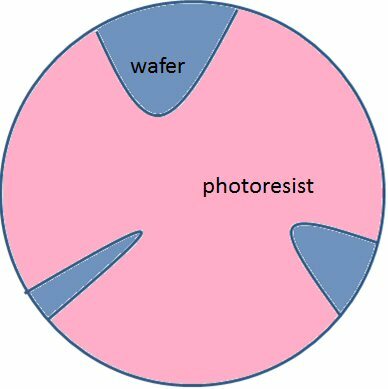 Of course, there is more to the spin than just hitting go – photoresist can be deposited statically (without the wafer moving) or dynamically (the wafer is spinning at a low speed during resist dispense). Also, the spin process is typically staged, first, a low rpm is used for a short time (500 rpm for 5 seconds is an example, but different viscosities and substrate sizes would call for adjustment), and then the prescribed spin speed can be used for the desired time. The first spin is just as critical as the second as the first spin (called the spread) allows the photoresist to coat the entire substrate. Not using the spread will cause some very ugly and not so uniform coatings. The second spin will provide the desired film thickness and uniformity. Ramp rates and spin times are also factors in optimizing the photoresist coating. 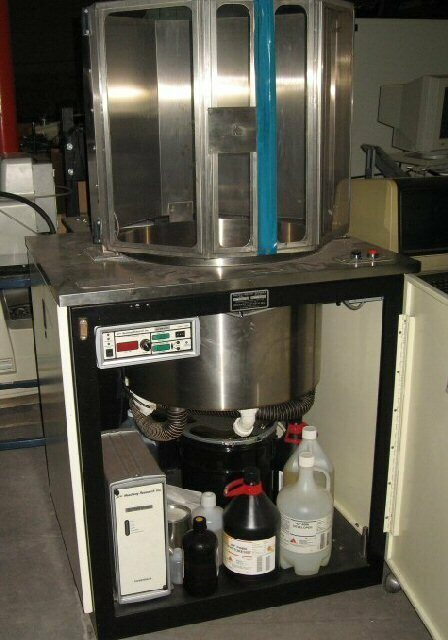 Here's two images of a spin coater we saw on Ebay recently. 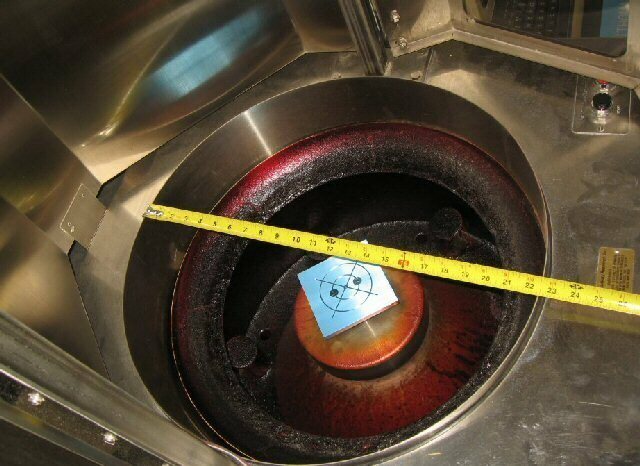 The image below is of the spinning chamber. The chuck can use vacuum holes to hold down the wafer. It is important to have the wafer centered, or it could fly off. The red material is photo-resist that has spun off of wafers. It is an open bowl spinner. Is that ruler in inches or centimeters? The reason that photolith areas in a laboratory or production area are bathed in yellow light is because photoresist are sensitive to UV light (blue, short wave visible light) and yellow light has a longer wavelength. What does the light do? Well, it depends on the photoresist. Negative PR: when exposed to light, the exposed part is made insoluble to the developer. Positive PR: when exposed to light, the exposed part becomes soluble to the developer. In the case of negative photoresist, the light causes bonds to break in the polymer, forming free radicals. The free radicals are not too stable and seek to link up to other free radicals as quickly as possible. Depending on the photoresist chemistry, a post expose bake may be necessary to help the free radicals have enough mobility to find each other and “cross link”. The cross linking makes the polymer insoluble to the developer (which dissolves the photoresist that has not been exposed). In general, cross linked polymers are not easily attacked by solvents, making negative photoresist ideal for applications in which you want the photoresist to remain. 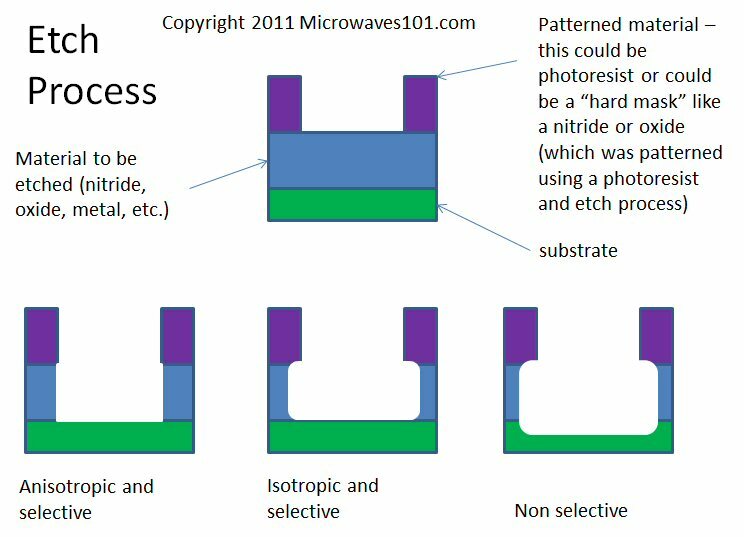 The photoresist can be removed, but it isn’t so easy with the negative variety (more to come on this topic). Positive photoresist also breaks bonds during exposure to UV light, but the broken bonds just make the film soluble in developer. The unexposed photoresist is not soluble in developer without the exposure to UV light. We have just touched on UV sensitive photoresist. Broadband light sources in the UV are only good for large images. The narrower the band (and shorter the wavelength) means that the images can become even smaller (going from micron to nanometer resolution, depending on the photoresist). Some photoresists are sensitive to X-rays or deep UV (DUV) light sources. Mylar: a flexible material, which is cheap compared to the other two. Mylar is a tradename for BoPET (biaxially-oriented polyethylene terephthalate), and is the cheapest alternative for mask-making. Soda-lime glass: the next step up. Soda lime is also used in glassware that you drink from, and windows on your house. Quartz: the high end. Quartz must be chosen in approcations where low runout is required. Quartz has near-zero coefficient of thermal expansion. The difference in CTE is between soda lime and quartz is very slight. However, the temperature difference between the mask making and mask using might be five degrees Celsius, so across a 100 cm mask at 1 ppm/C a run-out of five microns is possible. On a copper circuit board you won't care, but on a silicon wafer where features are sub-micron, this could be a huge problem. The material that provides the pattern on the mask is called the emulsion. In most cases, the emulsion should be placed on the side of the mask that is closest to the photo-resist, in order to minimize the slight blurring that would occur. You can get an idea about this type of blurring by staring into a mirror long enough to see the "ghost" that extends around your pretty (or perhaps pimply) face. This is because the mirror surface is on the backside of the glass. In optics, front surface mirrors are always used, but you have to protect them from dust which could cause scratches when you try to clean it off. The emulsion on a glass mask is usually chromium. In order to make sure it is on the right side, put some lettering on the mask, and specify "right-reading, emulsion down" when you order it. Mask is said to be positive (or clear-field) when the artwork that is to be developed is opaque. A mask is negative (or dark field) when the artwork to be developed is clear. Thus, for an etching process, a dark field mask can be used with a negative photoresist, or a clear field mask can be used with a positive photoresist. Yes, this is going to be easy to screw up if you are dyslexic. By and large, most masks that are ordered for printed wiring boards are negative, and most photo-resist is negative. There are two types of exposure systems, contact lithography and wafer steppers. In contact litho, the mask is held in contact with the article to be exposed. One outcome of this is that the mask is going to eventually wear out (get scratches). The artwork on the mask must be at the exact scale factor (1X) in contact litho. Exposure can be done with light, UV light, or electron beam, depending on the accuracy needed. Ebeam provides much higher resolution than light, because the particles are bigger (and have greater momentum), the wavelength is shorter. In order to understand this you must first understand de Broglie wavelength, which states that the wavelength of a particle is equal to Planck's constant divided by its momentum. 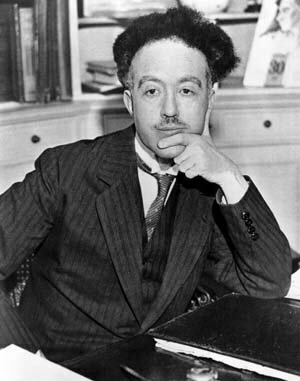 Louis deBroglie wrote his 1924 thesis on wave-particle duality, which had to be sent to Einstein for review before the French academy would accept it. In 1929 at the age of 37 he won the Nobel prize for physics. If you are 37 years or older, please ask yourself, what have you accomplished in your life besides eating well, releasing atmospheric carbon and taking up space? After a conductor material is patterned, the thickness of the metal can be greatly increased by plating up (typically electroplating). Say, that was a fifth step, what the heck?